Chievo vs Genoa predictions ahead of this Serie A game on Sunday. The league’s bottom side are searching for a boost to their survival battle here. Read on for our match preview and free betting tips. It’s been surprisingly easy for Genoa to bounce back from losing their best player. While Krzysztof Piatek has been fantastic for Milan, Genoa have kept up their good form after cashing in on the forward for £35million. The striker left the club in January, and Genoa haven’t lost a game since. Their push to keep their great form rolling receives a boost this weekend, as the Grifone are on the road to Serie A’s bottom side. Will the good times keep coming for Genoa in this clash? Things aren’t looking too bright for the home side, who have a lot of work to do if they’re to have any chance of beating the drop this term. 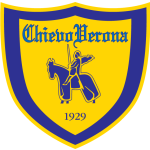 Chievo have won only just one match in Serie A this season. Of the previous eight teams to manage less than two wins after 24 MDs, each of them went on to be relegated. The New Year has hardly brought a change of fortunes for the Gialloblu either. They come into this clash with a terrible recent record. Chievo have earned both the fewest points (1) and conceded more goals (13) than any other side in Serie A in 2019. Genoa capped off some great recent form last weekend, as they beat Lazio 2-1 at home. they delivered a real blow to Lazio’s hopes of making the top four with that win. The result also put 10 points between the Grifone and the drop zone, and now they have the chance to add to that. They are up against the bottom side in the league, a team with 14 defeats in 24 league games. However, Genoa’s own away record isn’t that great, so could they slip up yet again? Defence concerns are a real issue for the visitors, who have lost seven of their 11 trips to date. That’s partly down to their issues at the back, where they’ve conceded 2.36 goals per game on the road. Genoa have conceded at least one goal in each of their last 14 encounters away from home in Serie A, their longest such run since December 2015 (17). They’ve let in almost 18 shots per game on their travels, which has led to them conceding in 100% of this season’s away trips. Chievo remain the worst defence in the league, so they’re likely to struggle here. They’ve shipped a total of 48 already, letting in 24 in 12 home games. However, the Gialloblu have scored nine times in their last seven at home, so we’re expecting goals in this clash. With Genoa seeing both teams scoring in 82% of their away matches, we think that BTTS is great value here. 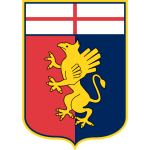 Chievo and Genoa have never repeated the same result in their previous 10 matches at Chievo’s home in Serie A – Genoa won the last such encounter last season (1-0). Genoa are unbeaten in their last four Serie A matches (W2 D2); the last time they managed five in a row in the competition was back in March 2015. Chievo have been leading for only 113 minutes in Serie A in 2018/19, at least 143 minutes less than any other side. Mariusz Stepinski has been directly involved in four of last eight Chievo goals in Serie A (three goals and one assist) – the Polish striker (six goals in 2018/19) has already overtaken his previous record of goals of last season (five in 2017/18). Antonio Sanabria has scored three goals in just four appearances in Serie A with Genoa, as many as he managed in his previous 22 LaLiga matches with Real Betis. Genoa’s Goran Pandev’s last league goal came in the reverse fixture against Chievo back in September – he has found the back of the net three times versus Chievo in the top-flight.